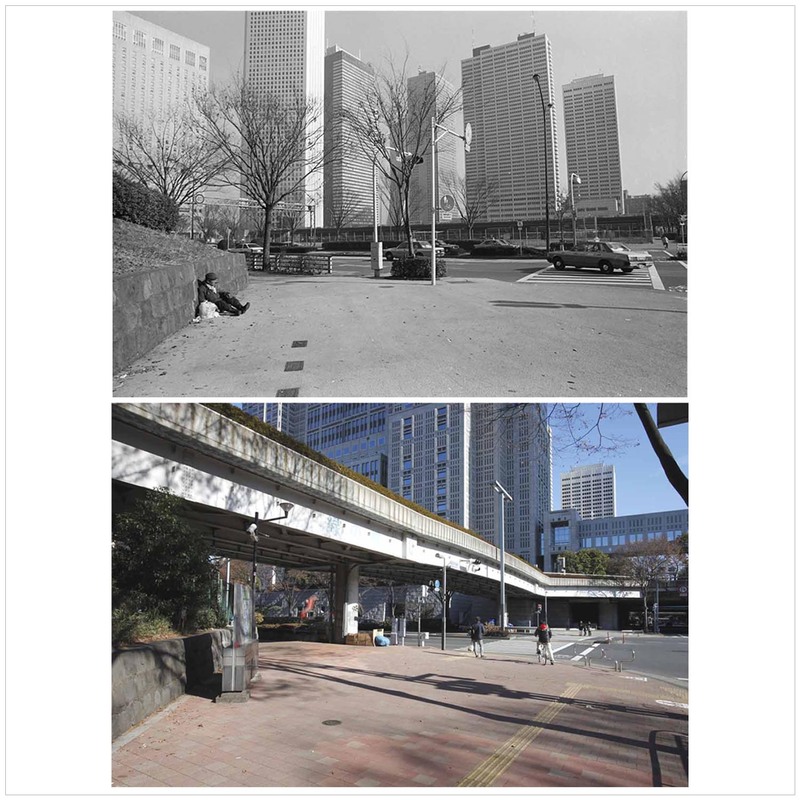 B/W Canon newF1 FD24mm F2.8 Kodak PlusX COLER Canon 5D MarkⅢ　TS-E24mm F3.5LⅡ This monochrome photo taken in 1985, in Shinjuku Central Park. The Tokyo Government Office building has not been yet erected, there was a vast empty space in its place. The building was finished in 1991. It has been 23 years since then already, due to the buildings peculiar shape, rain was leeking inside through the roof, it is said that it took 100 000 000 000 JPY to fix it. The governor at that time, Mr Ishihara was mad – “What kind of a building they made!”. (He’s constantly mad, but I wonder if I was the only one who found seeing him like that in TV funny for some reason. He’s not in the spotlight much lately, I kind of miss him) The color photo was taken in January 2012.